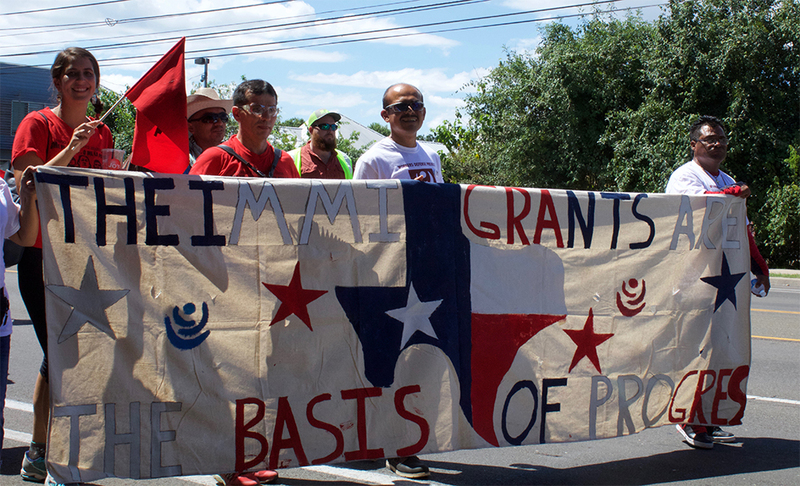 Hundreds of demonstrators gathered Sunday to commemorate the 1966 Farmworkers’ march from Starr County to Austin – a 491-mile trek that effectively won the first statewide minimum wage and launched the Chicano movement in Texas. 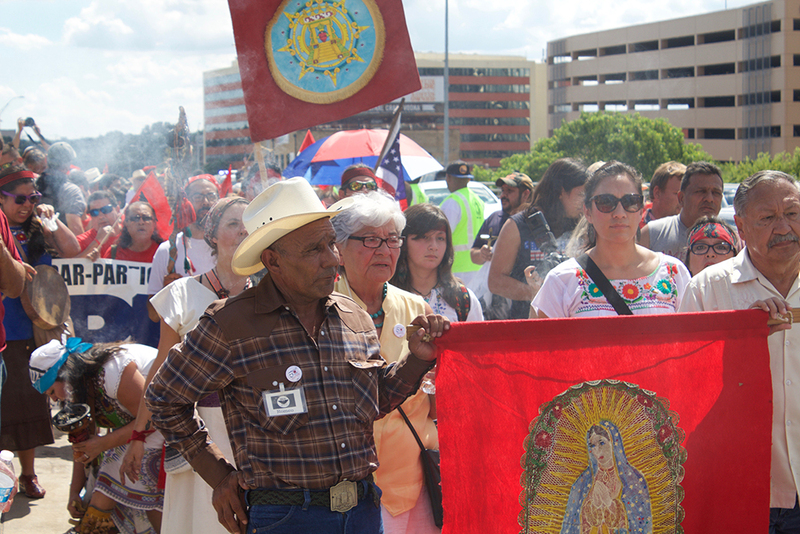 Demonstrators gathered at St. Edward’s University before marching down South Congress Ave. to the Capitol, information pills where they heard live music and listened to speakers including former Texas United Farm Workers Director Rebecca Flores and a handful of farmworkers who participated in the original march. The 1966 march was a blisteringly hot, information pills 491-mile journey from Rio Grande City to Austin. The marchers, who began their struggle with a strike in the melon fields of Starr County, were demanding a statewide minimum wage for all Texas workers. Three years later, legislators passed such a bill due to the march’s impact. The march also gave birth to the larger Chicano movement in Texas, paving the way for Mexican-Americans to enter state politics for the first time and for the Raza Unida political party. With the march concluded, Rebecca Flores urged the crowd to pressure state representatives during the upcoming legislative session. She emphasized the issue of inadequate housing for migrant farmworkers. 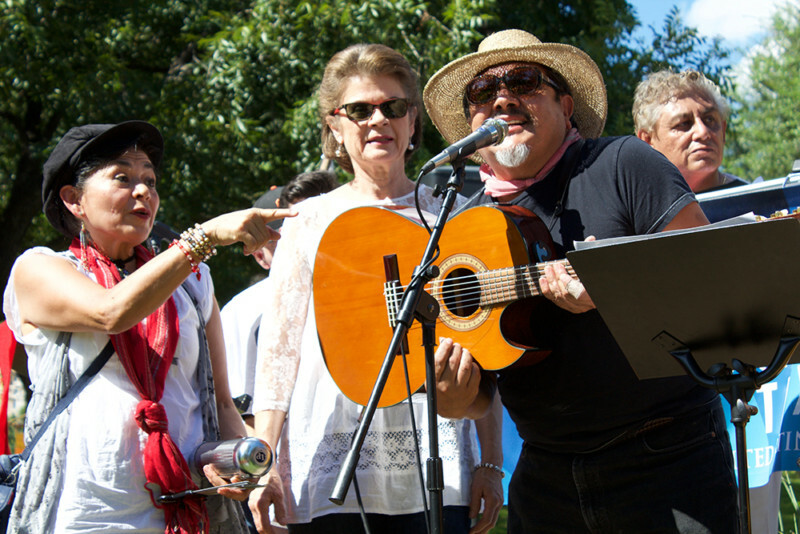 Meanwhile, Casa Marianella volunteers, Francisco and Lucía Chavez and Paula Blaha, entertained the crowd with music, including a dedication to César Chávez and a version of the classic “De Colores,” a song long associated with the farmworkers’ movement.